In poker, arguably the best position to be in is “on the button.” This means that you get to act last, after everyone else has made their decision if they are going to play in a particular hand or not. When you’re on the button, you can make your decision to call (match the bet), raise the bet or fold your hand with full information, because you’ve seen what everyone else is going to do. Approach your business negotiations the same way. Be patient and wait for the other parties involved to throw out the first offers. This gives you an idea of where they’re at, so that you can adjust your counter-offer accordingly, and it ensures that you don’t sell yourself short by putting an offer out that is too low. 2. Don’t be afraid of the re-raise. Re-raising in poker is a tactic whereby one player raises the bet that is out there and then, a different player raises that other player’s raise. It can be scary to do that in poker and in business negotiations. But don’t be afraid of the re-raise. It can be tempting to accept a first offer, especially if you really need the deal, but if you’re willing to accept that offer, don’t be afraid to try and re-raise it. The worst that can happen is that they’ll say no and if they do, you’re no better or worse off than if you hadn’t tried. But, re-raising can lead to better payments, terms or additional add-on requests that you never would’ve gotten if you didn’t try. 3. Keep a poker face. Nothing will sink a negotiation faster than appearing hungry or desperate for a deal, so make sure to keep a poker face. In Texas Hold’em poker, envisioning that you have pocket aces, the biggest starting hand possible, before betting (no matter what hand you have in actuality) can help you appear cool and calm, so do the same in your business negotiations. Imagine that you have all kinds of big deals lined up (even if you’re just starting out) and that don’t really need this deal. And be aware of what your body language, tone of voice and word choices are communicating. Keeping a poker face will ensure that you don’t give away your hand or show your cards too soon. And on the flip-side, look for those same kinds of signals or “tells” from the parties that you are negotiating with. It can help you adjust your counteroffers accordingly and maximize your negotiation efforts. 4. Be careful with bluffing. Bluffing in poker is a tactic where you bet or raise with a hand that isn’t very good, with the intent of getting other players to fold because you are representing that your hand is better than it really is. 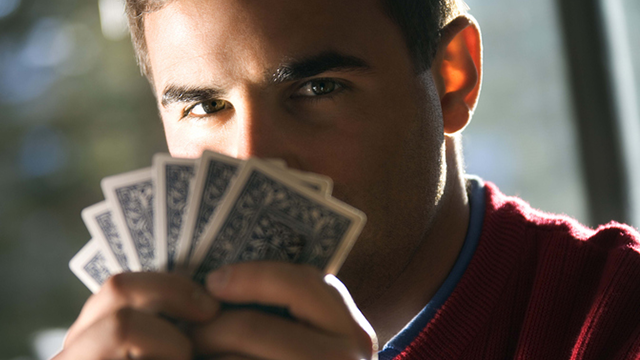 Bluffing is risky in poker, just like it is with your business negotiations. So, be careful if you bluff in your business negotiations. If you act like you are ready to walk away from a deal when you’re not, the other party may “call your bluff” and you can either look foolish and unprofessional when you inevitably re-consider or worse, lose the deal entirely. And definitely, don’t ever bluff about your company’s products or services just to seal a deal. It is much better to under-promise and over-deliver, because over-promising will cause your business to lose future opportunities by leaving your clients underwhelmed, frustrated and unhappy. Use these tips to handle your business negotiations like a poker pro.